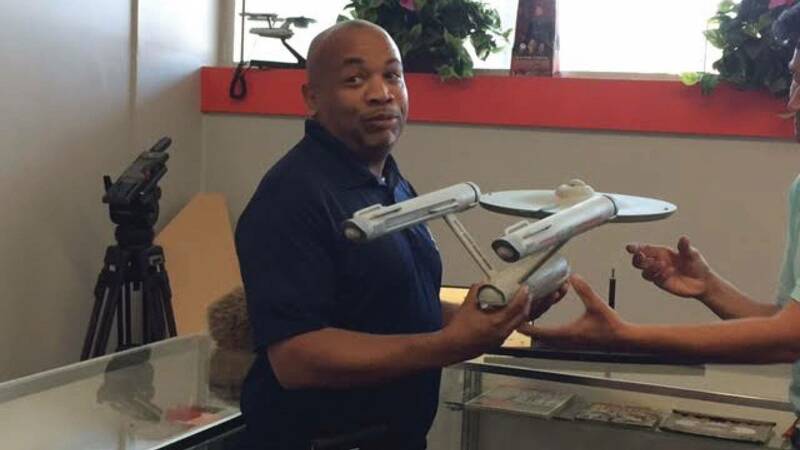 The often reticent New York Assembly Speaker, Carl Heastie, showed a different side of himself when the lifelong Star Trek fan visited a museum in New York’s North Country that replicates the fictional Starship Enterprise. It’s a Trekkie’s dream- to sit in Captain Kirk’s chair, stand on a transporter pod, hold an actual communicator prop from the television show. New York’s Assembly Speaker, Carl Heastie, got to do all of that when he visited the Star Trek Set Tour museum in Ticonderoga, as part of a tour of New York’s North Country. Heastie, who is 49, wasn’t yet alive when the original version of the series premiered in 1966. But the reruns in the late 1970’s certainly captured his imagination. “I was always into science and technology,” said Heastie, who said many of the gadgets on the show were precursors of modern devices, including Lieutenant Uhura’s early “Bluetooth”, and Captain Jean Luc Picard’s “I-Pad”. Heastie, who is not a publicly demonstrative person, smiled and seemed captivated, as he politely asked question after question of tour guide James Cawley. The Star Trek Set Tour is a lifelong dream for Cawley. He grew up in Ticonderoga, a village between Lake George and Lake Champlain that includes the historic Fort Ticonderoga. He left to travel widely, with jobs including working as an Elvis impersonator, something he still does- and he wears his hair in a styled black pompadour to prove it. It museum does not, of course, have the actual set from the show. That was destroyed shortly after the series ended in the late 1960’s, no one thought it would ever be valuable. Cawley has painstakingly reconstructed the bridge, sick bay, and the engineering station, among other iconic sets, by closely analyzing the tapes of the original shows, and consulting with dedicated fans. Cawley says he wants visitors to feel like they’ve entered a “time machine”. He estimates it the cost hundreds of thousands of dollars to put it all together, though he’s had plenty of help from friends and relatives. He’s received no aid from the state. 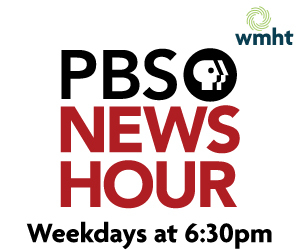 Heastie says the show, which was known for its ahead- of- its – time political and social themes, taught him some life lessons that he uses in politics, running the 150 member Assembly, dealing with Governor Andrew Cuomo and leaders of the State Senate. “They always wanted to have a peaceful discourse any place that they went,” said Heastie, who said his favorite quote is from Spock in the 1982 movie Wrath of Khan. “’The needs of the many outweigh the needs of the few or the one’,” he said. Heastie says Kirk, though, remains his favorite character. Other well-known politicians have been Star Trek fans, including former President Ronald Reagan and General Colin Powell. Cawley says there’s a reason for that. It was not originally Cawley’s specific intention to help his economically depressed home town. But he says he’s happy if the Star Trek Set Tour brings in more visitors. He’s already had 7000 since opening in April, and several of the former stars of the show will be visiting in late August. “I hope it does for here what the baseball hall of fame does for Cooperstown,” Heastie said. After all, he says, there are a lot of Star Trek fans.